This Easy Top Round Roast Beef Recipe is going to become a regular in your house after you see how easy it is to make, how tender and perfect it comes out every time, and how versatile the left overs are. 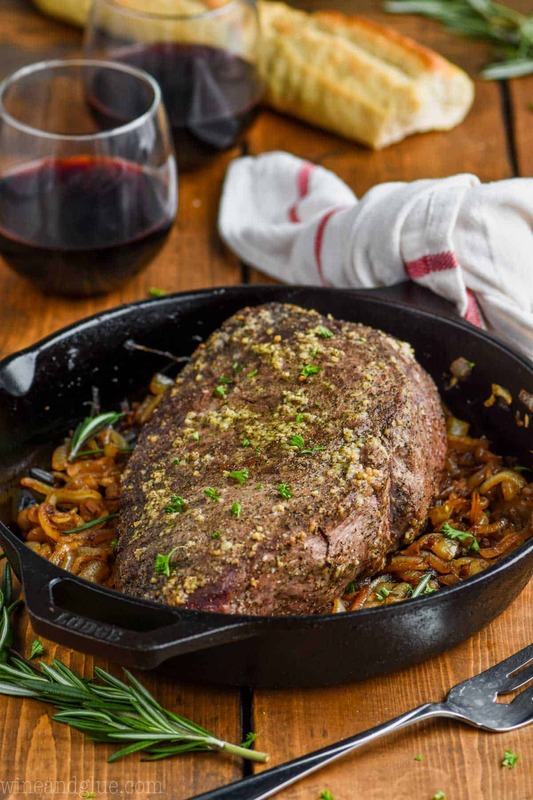 With only five minutes of preparation time and the most perfect flavor, your family will love this easy roast beef recipe. 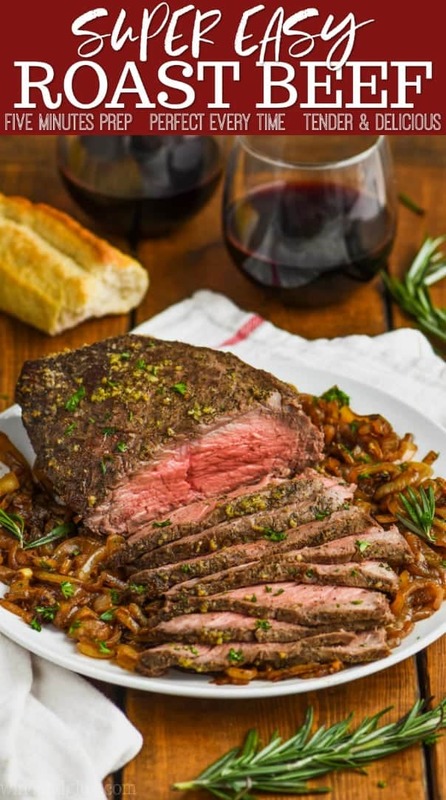 This roast beef would be perfect served with my crock pot sweet potatoes and my crispy brussels sprouts. I have already sent them pictures of this roast beef recipe and I can’t wait for them to try it. One said that I won her over by saying that it was five minutes prep. That was the whole reason I sent it to them. I know their lives because I’m living it too. 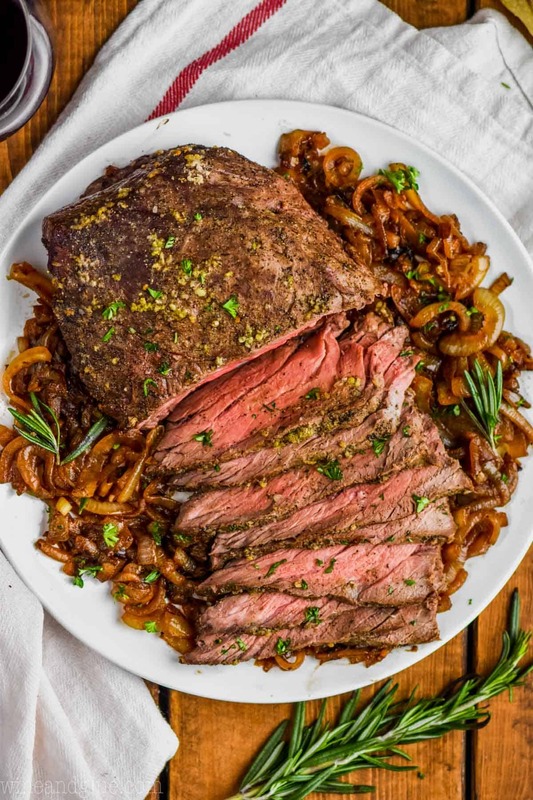 Dinner needs to be delicious, but it also needs to be fast and easy to make, and this easy top round roast beef recipe is both of those things. Side bar: Another one said, “I can’t wait to eat Lisa’s beef,” and we all died laughing, and decided that needed to go on a t-shirt. 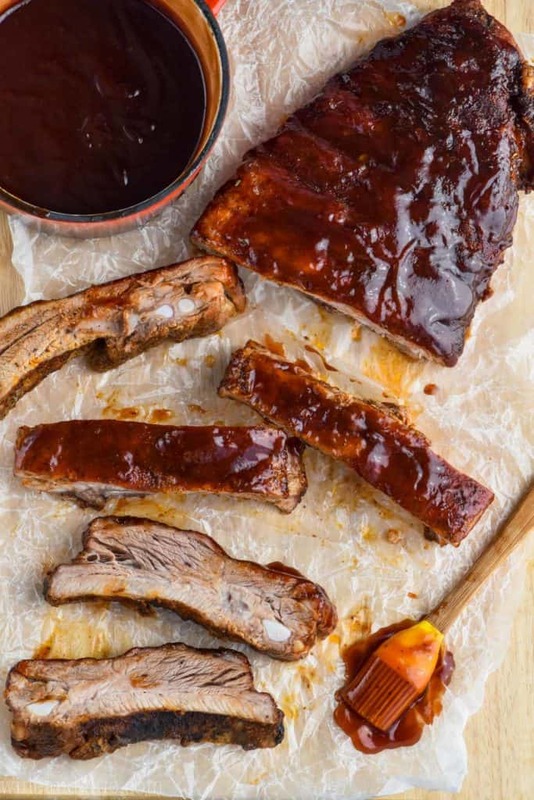 Full disclosure: You do not make this recipe in a cast iron pan, so put that baby away until you need to make some bacon. (Oooo, this would be good with bits of bacon.) I just thought it would photograph beautifully in the cast iron skillet, and it does. But for this recipe you really need a roasting pan fitted with a rack. I bought mine for $20 at a local department store and it is a great investment. You can also find one here. 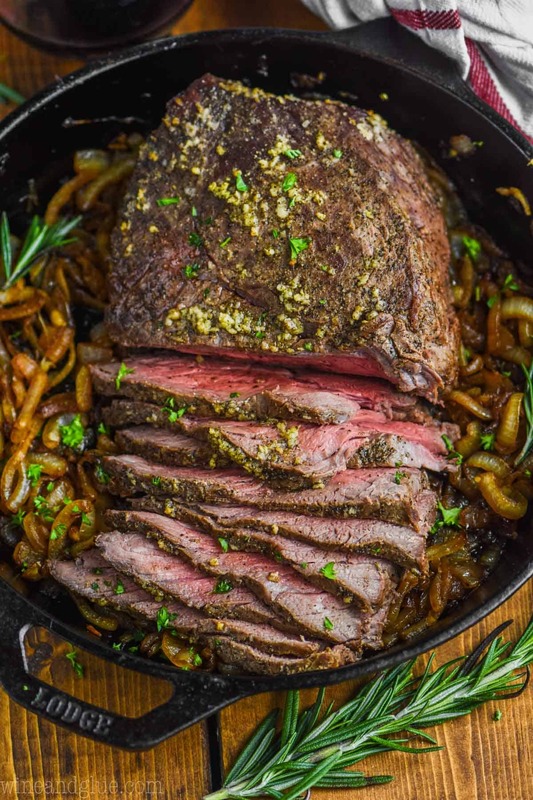 Another full disclosure: So many of these great tips came from my time with Certified Angus Beef that resulted in this amazing Top Round Roast Beef Recipe. As mentioned above, place the roast beef in a roasting pan fitted with a rack. This allows air to circulate around the roast, which is what you want. Start with the oven at 450 degrees. This will sear the outside of the roast beef, given it a nice crisp outside. After fifteen minutes, reduce the heat to 325. This will let the roast finish cooking and be nice and tender at the end. Use an oven proof thermometer to keep an eye on the internal temperature. You want to remove the top round roast right around 135 to 140 degrees for a nice medium rare roast. This will give you a nice red center. Remove the roast and tent it with foil, letting it rest for 10 minutes before slicing thin. This will prevent the juices from running out and will leave you with a juicer cut once you do slice it. Thinnly slice the roast beef against the grain. 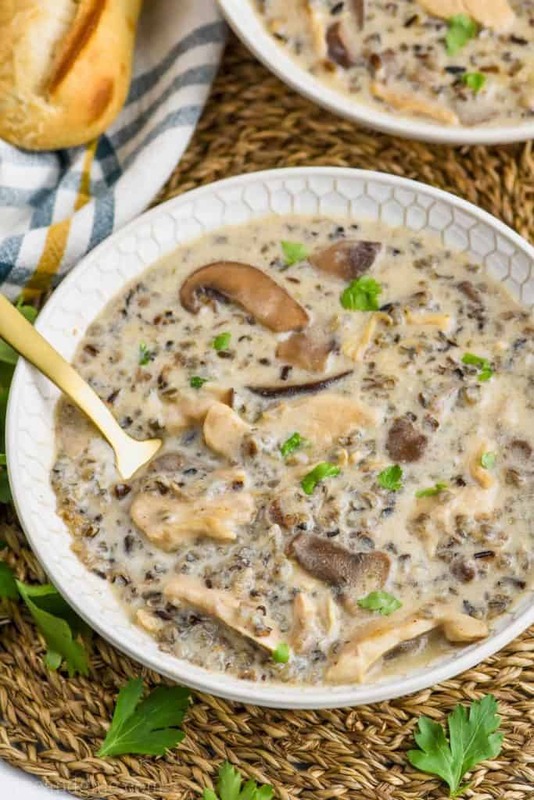 Assuming you have roast beef left overs, though I would not be surprised if you don’t have any, there are so many great ways that you can eat it. This roast can be kept in the refrigerator in an air tight container for three to four days. 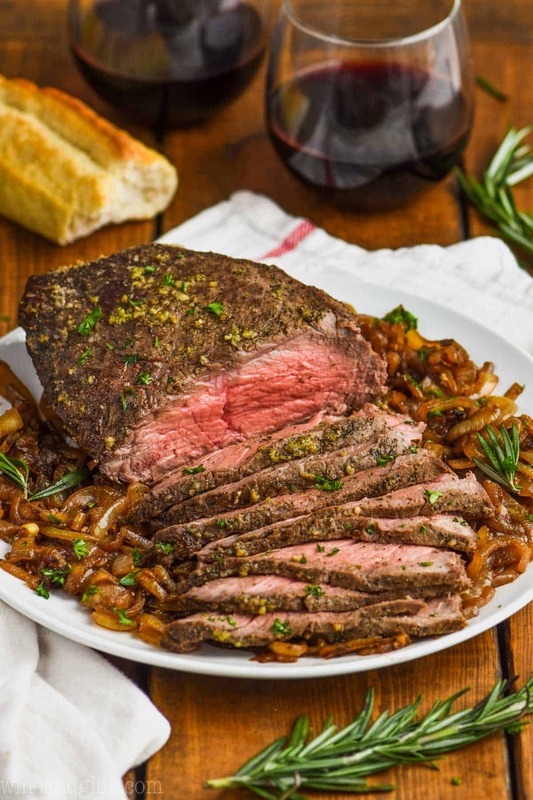 There are many different methods when it comes to reheating roast beef. I sliced the entire roast before storing it. Then when I went to reheat it, I put the sliced pieces in a 9×13 baking dish covered with tin foil. I preheated my oven to 350 degrees. When the oven hit the right temperature, I put the meat in and turned off the heat. I let it warm in there for about 15 minutes and then it was the perfect temperature for the left overs. Roast Beef Sandwich – We layered the reheated thin slices of roast beef on French baguettes, topped them with provolone cheese, and put them under the broiler until the cheese was melted. Nathan put horseradish sauce on his. Yummy! Steak Salad – Okay, not technically steak. But this roast beef is perfect on a simple green salad with tomatoes, cucumbers, and red peppers with some ranch dressing. It would also be amazing on this strawberry spinach salad or my favorite roasted beet salad. Roast Beef Breakfast Bowl – Next time we have left overs, I’m going to add them to some hash browns, onions, and eggs, for a breakfast bowl! There are so many great sides that would go with this roast beef! 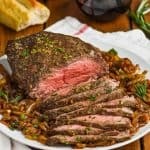 This Easy Top Round Roast Beef Recipe is going to become a regular in your house after you see how easy it is to make, how tender and perfect it comes out every time, and how versatile the left overs are. 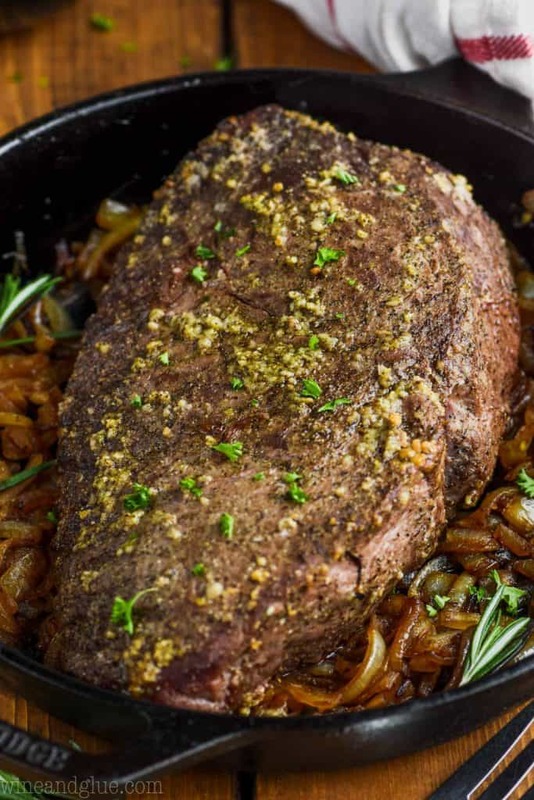 With only five minutes of preparation time and the most perfect flavor, your family will love this easy roast beef recipe. Preheat your oven to 450 degrees. Fit a rack in a roasting pan and set aside. Rub the top round roast with the olive oil. Then spread the salt, black pepper and garlic over it. Do your best to cover not only the top and bottom but the sides. Remove from the oven, loosely tent with foil, and allow the roast to rest for 10 minutes. Slice thin, and enjoy. 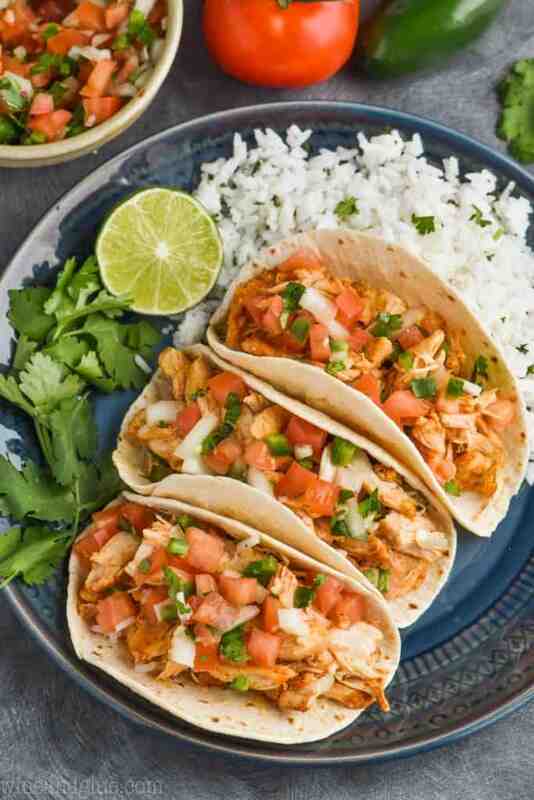 See post for details about reheating and left over ideas. Cooking the roast at a high temperature initially and then reducing the heat gives it a great sear on the outside and lends to the perfect tender roast. Please keep in mind that the size of your roast with greatly affect how long it needs to cook, with meat over 3 pounds needing more time and meat under 3 pounds needing less. For this reason it's great to use a thermometer and start checking it around 45 minutes.